Curry Up Now started as the first Indian food truck in the SF Bay Area, then started a brick and motar restaurant in San Mateo in 2011. They now have two other locations, in Palo Alto and San Francisco. Egg washed pan fried flat bread, pickled onions & chutneys rolled up with chicken, beef, lamb, pork belly, paneer, aloo, tofu, or aloo gobi. 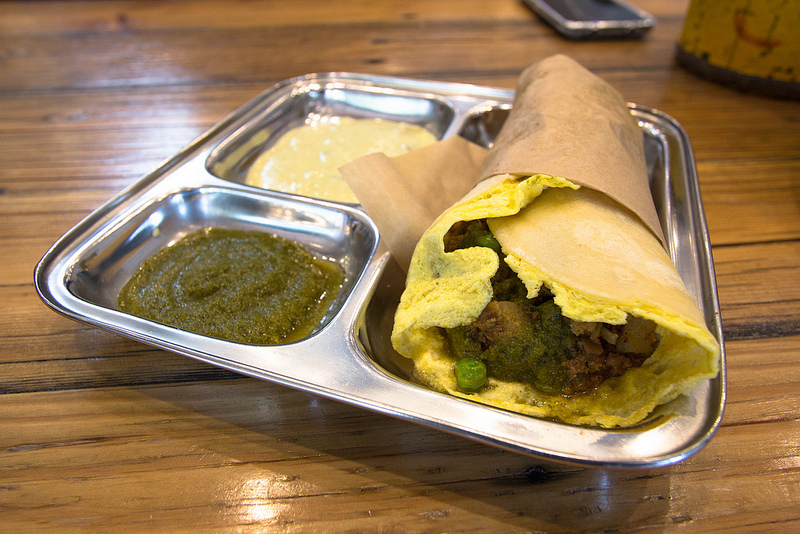 Curry Up Now named this as “kathi roll”, whereas it’s more globally spelled as “kati roll”. yummy and not too spicy, perfect for who wishes to try a typical Indian dish without having to deal with hot food.